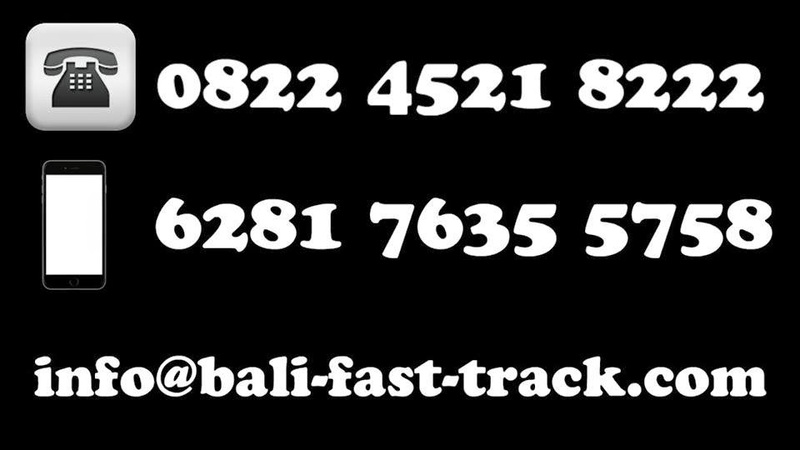 bali-fast-track.com assists guest who demand for VIP VOA arrival needs! Our service will eliminate your having to queue up for your VOA (Visa on Arrival) and immigration clearance . After greeting the customer off the airplane we provide a fast track route through Immigration, and personal assistance visa-on-arrival, customs, Immigration clearance without queues in a smooth handover to the driver, or help to book a airport car or transfer to your accommodation in Bali. Fast track means our customer does not have to stand in the normal immigration line, and / or is escorted quickly and easily through an immigration process. We use a VIP facilities; fast track channels, and crew, diplomatic, or first class lines. When you are planning to visit Bali, Lombok or other parts of Indonesia's island To be informed that effective from February,1st 2004 the Government of Indonesia implement for VOA "VISA ON ARRIVAL" policy for people who visit Indonesia for Tourist or Business purpose. Important note: Your passport must be valid for at least 6 months or else Indonesia will NOT allow you into the country and your airline will NOT let you on the plane,If your passport is due to expire in 6months or less, please have it renewed before you encounter problems. Important note: Tourist visa is US$35 per person, valid for 30 days of visit and cannot be extended. Following is the list of countries that do not require a Visa to enter Bali. These are the 169 countries receive an Indonesia free visa. The countries with an asterisk (*) are the 79 newly added countries for visa free entry.